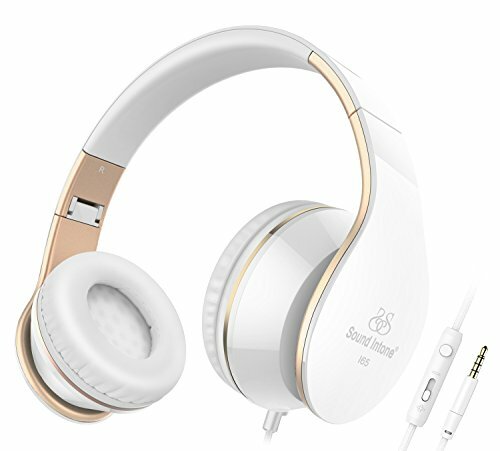 For those who like an elegant and modern design, Sound Intone presents I65 headphones, a new stereo headset that combines mobility, beauty, and excellent sound quality. Comfortable, lightweight, and foldable, I65 was created to accompany you in your musical adventure wherever that may be. Its in-line microphone and control allow you to talk easily on your mobile phone at home or at work. I65 Headphones is the ideal solution if you want to have music with you all day. I65 headphones features in-line control to allow you to answer calls by pressing the button while being used on a mobile phone as well as play/pause a song when listen to music. An in-line omnidirectional microphone that picks up your voice without having to talk directly into it. The Sound Intone I65 headset folds up for easy transport and storage anywhere you want. The flat cable designed to prevent tangles in both use and storage while providing the maximum strength. Comes with a modern, sleek design that highlights simple but functional beauty.